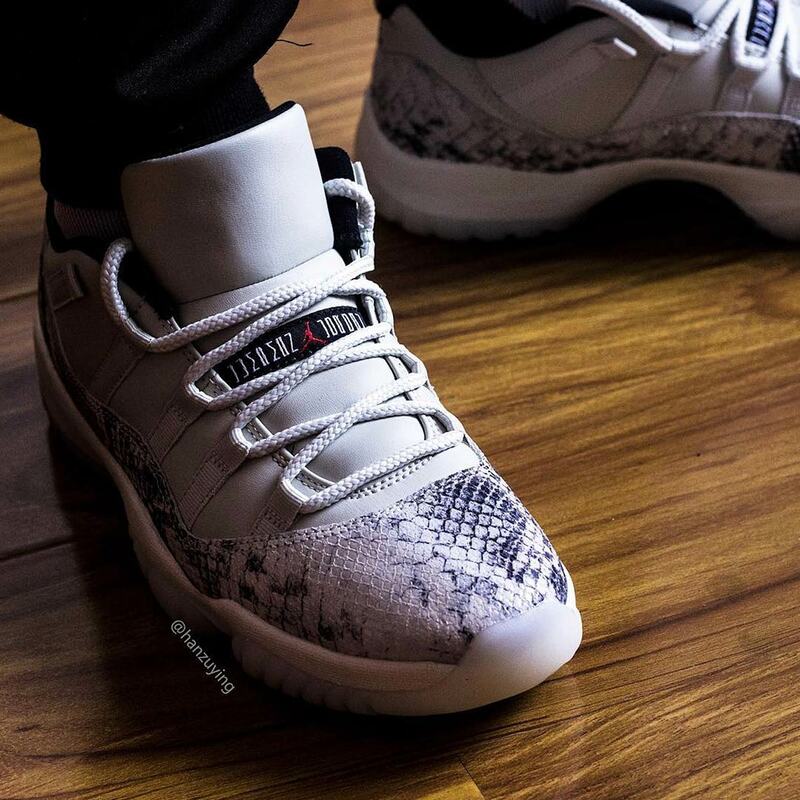 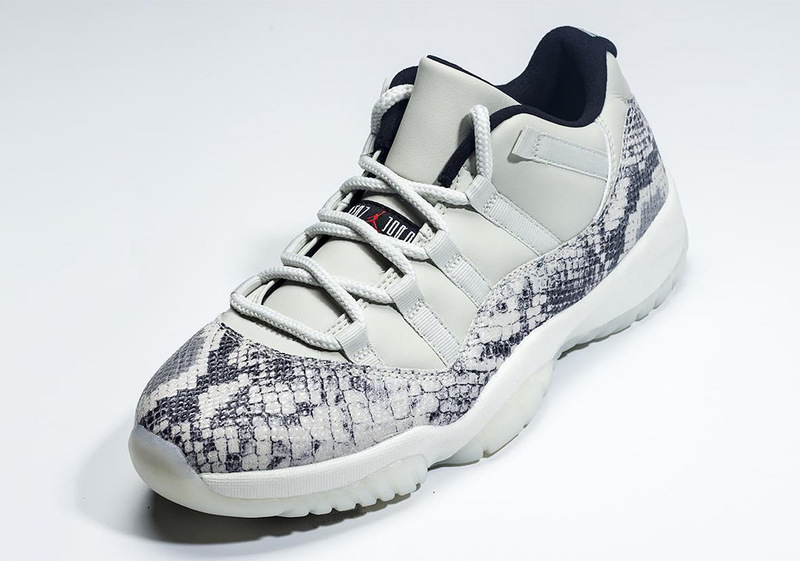 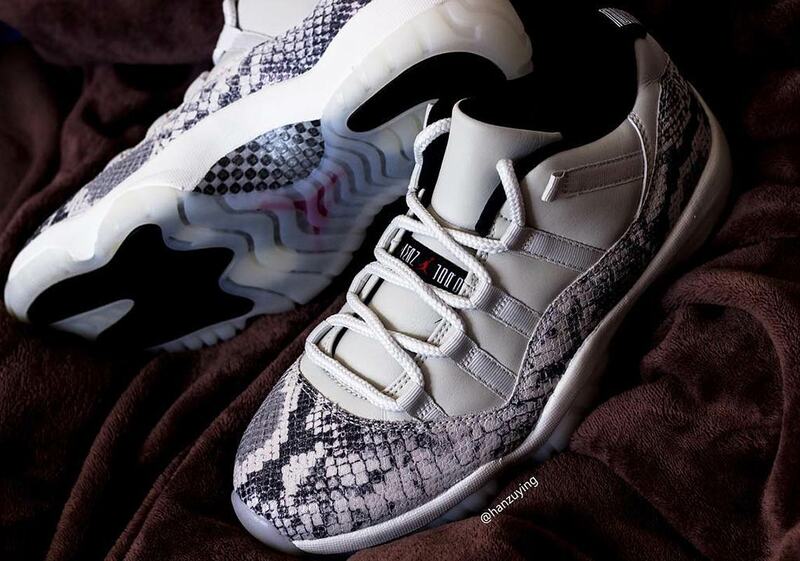 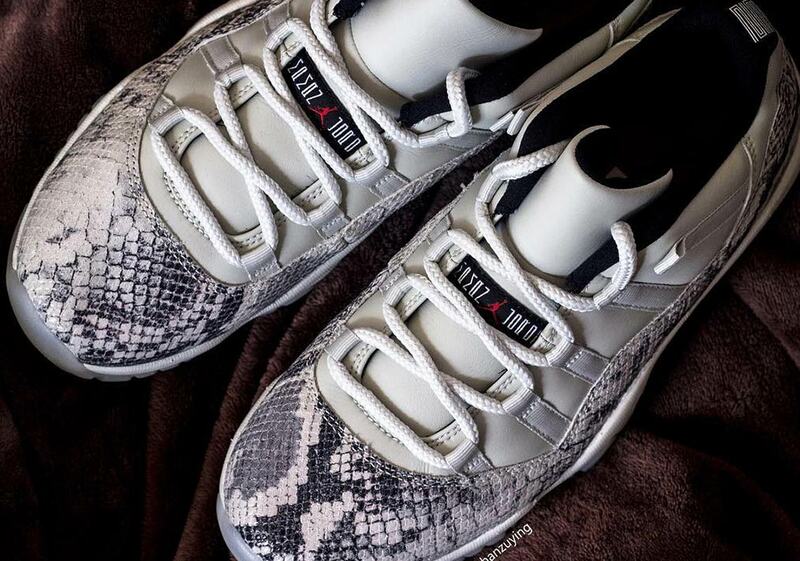 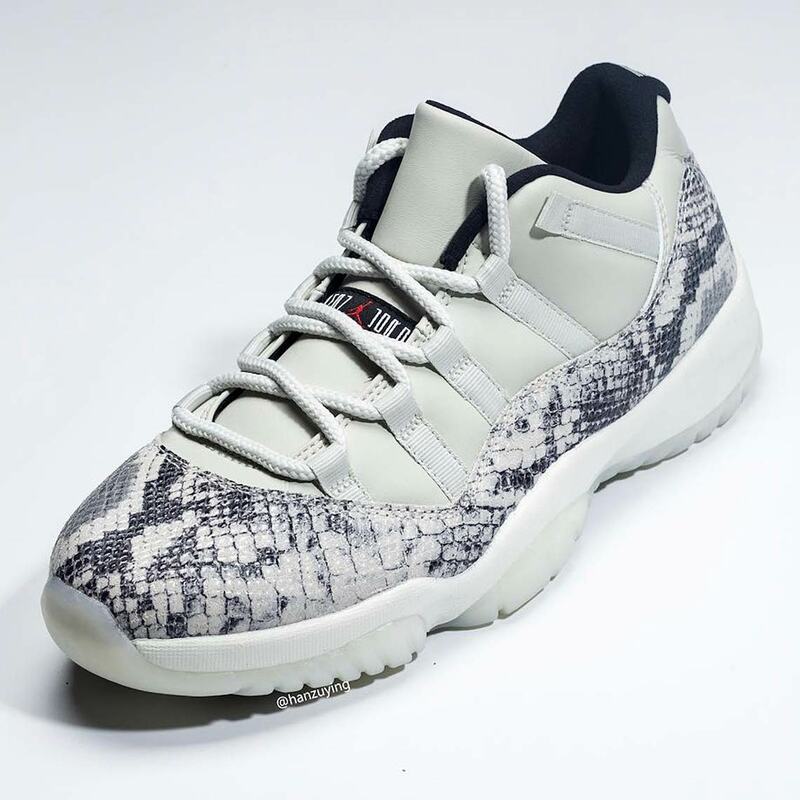 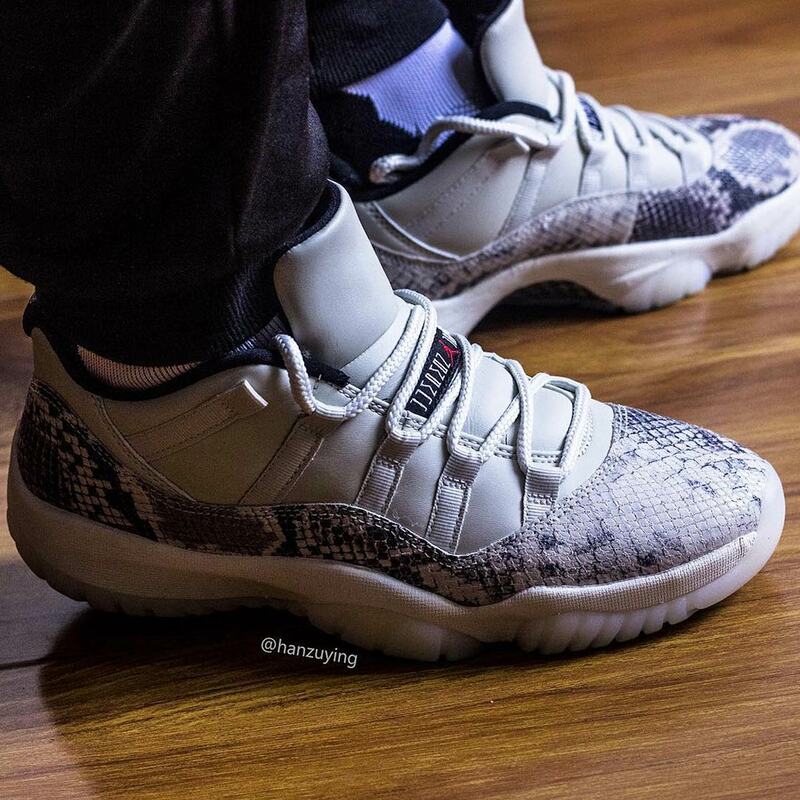 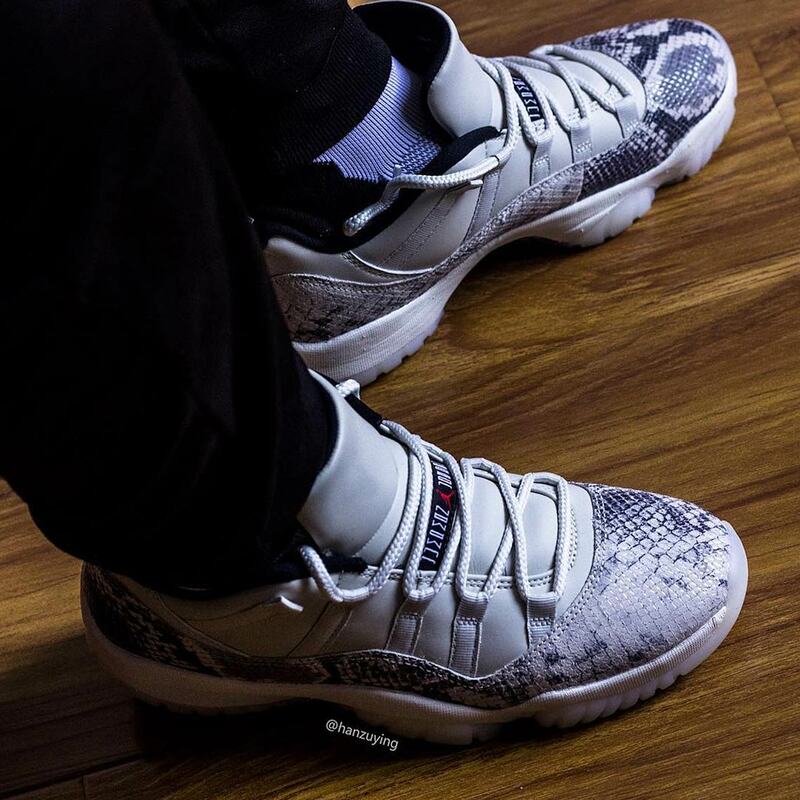 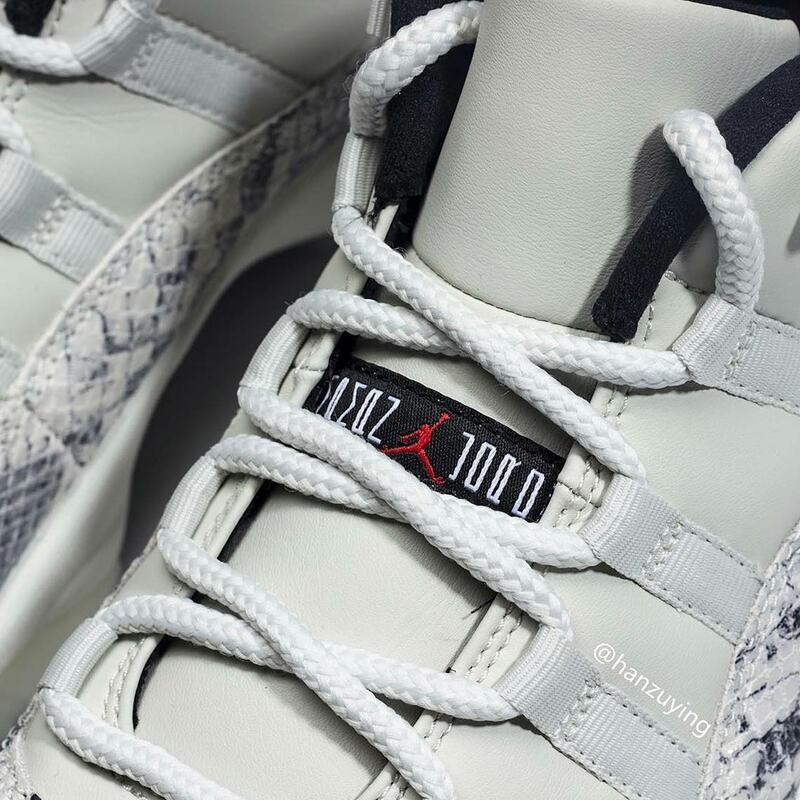 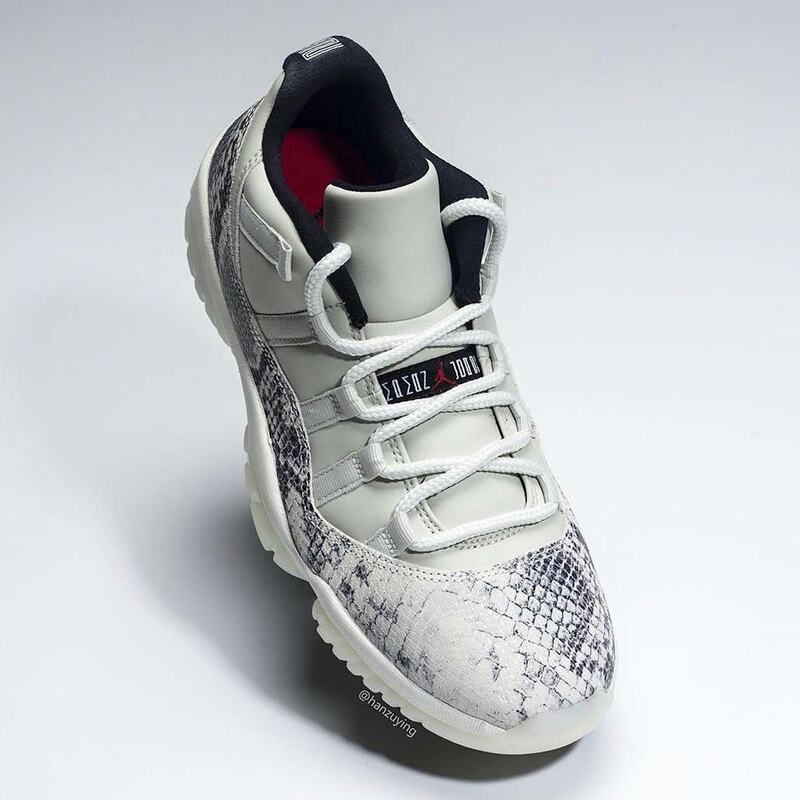 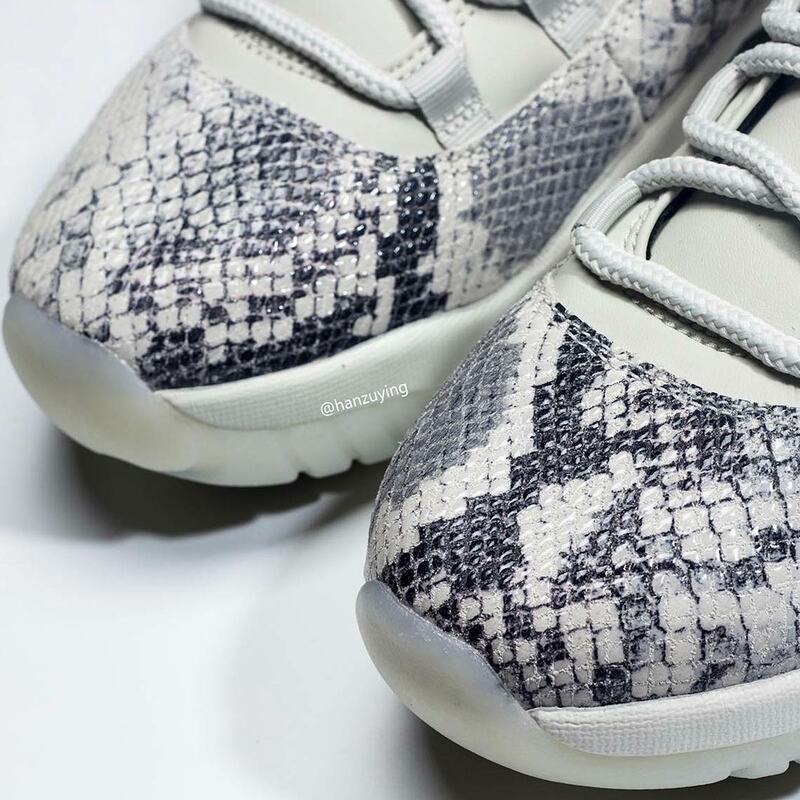 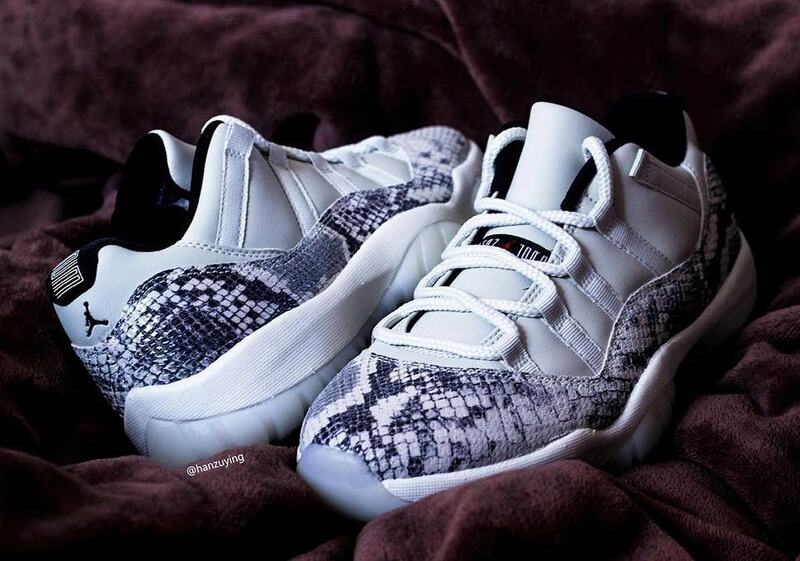 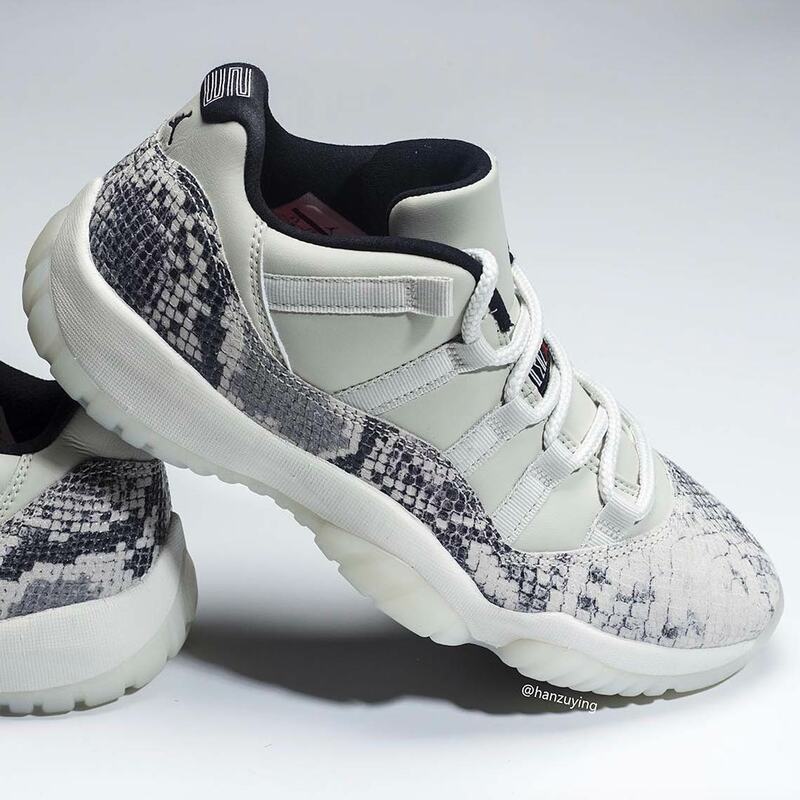 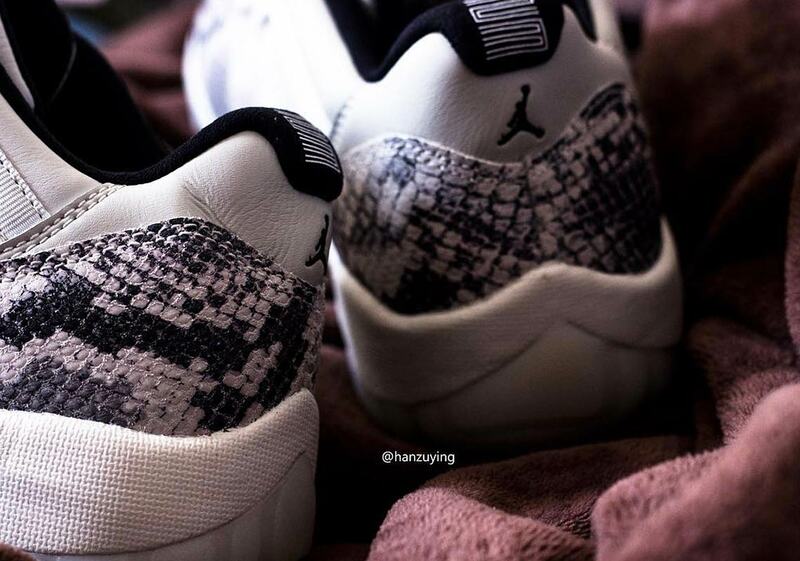 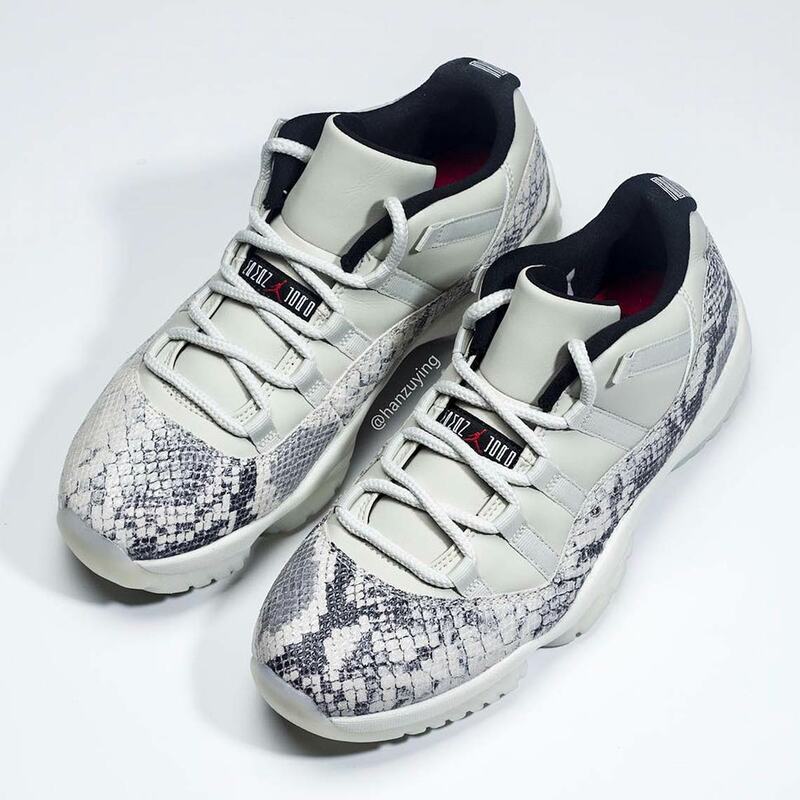 After the reveal of the new “Snakeskin” Air Jordan 11 Low earlier this week had AJ11 lovers the world over abuzz, we now have a much more detailed look yet at the snakeskin-swathed kicks, plus information on a release date as well. 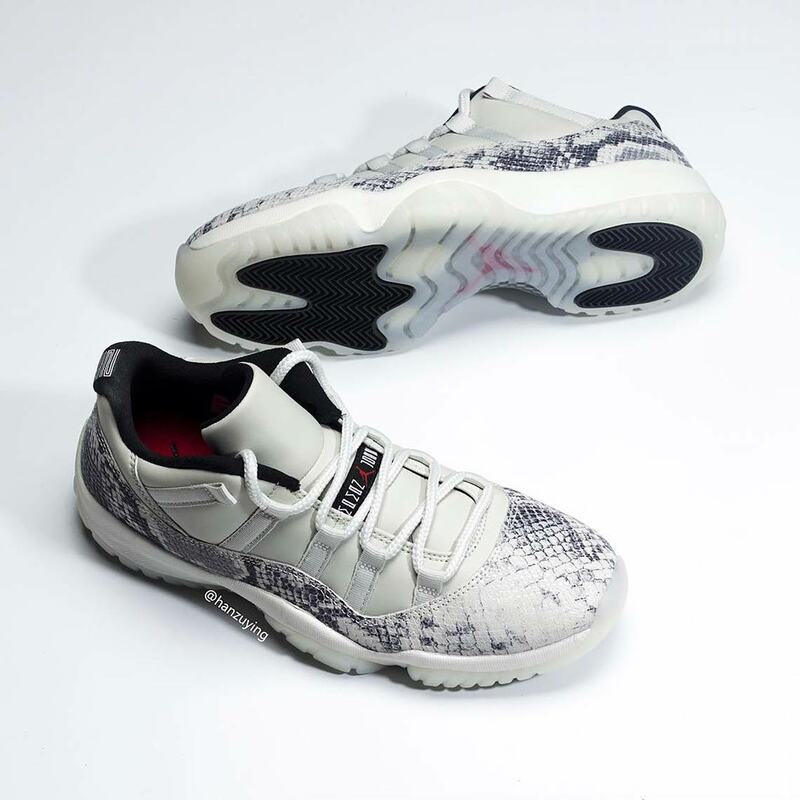 Calling upon a cool-colored “Light Bone” upper with small black/red accents for a base, the shoe’s main detail is of course its full snakeskin mudguard, featuring black, grey, and tan for a desert-ready look. 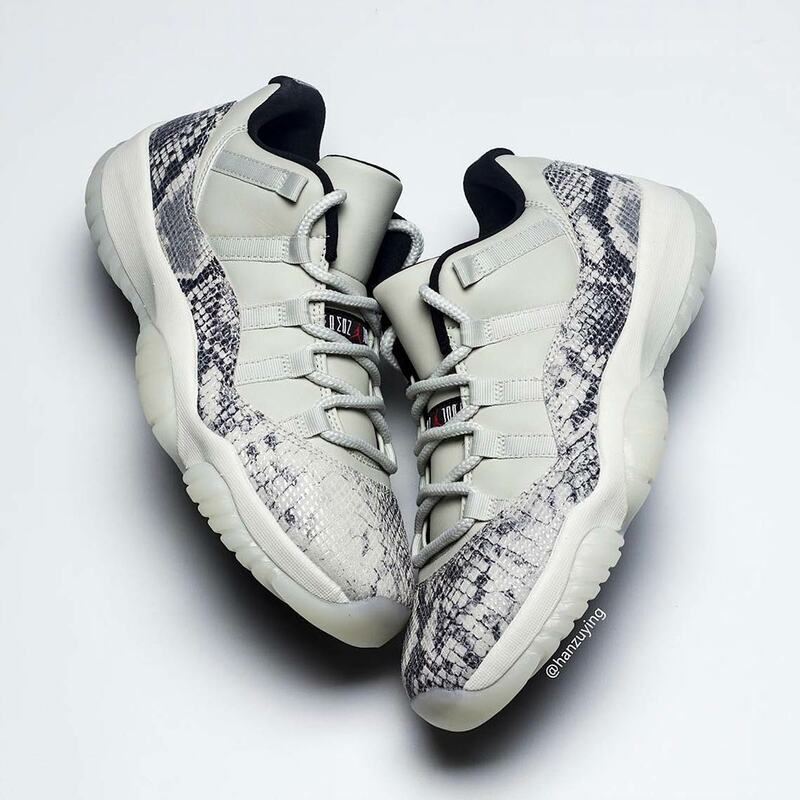 You haven’t been snakebitten if the colorway appears to be inherently familiar either: there’s definite parallels to be drawn with one of the snakeskin high-top Air Jordan 11s that Drake flexed on his Instagram back in 2017. 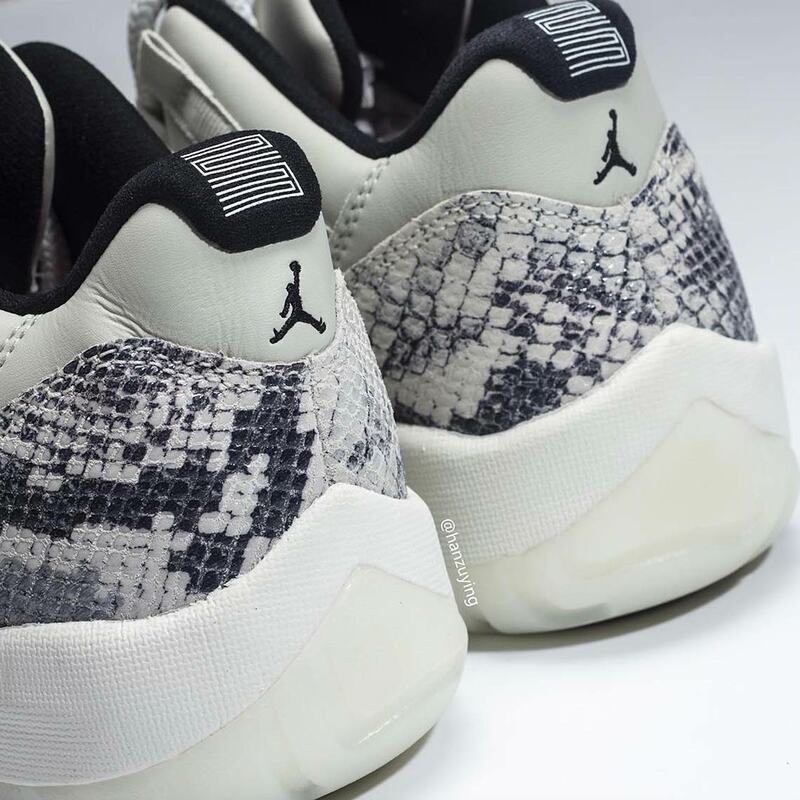 A carbon fiber midfoot plate and milky outsole then arrive to round off the look. 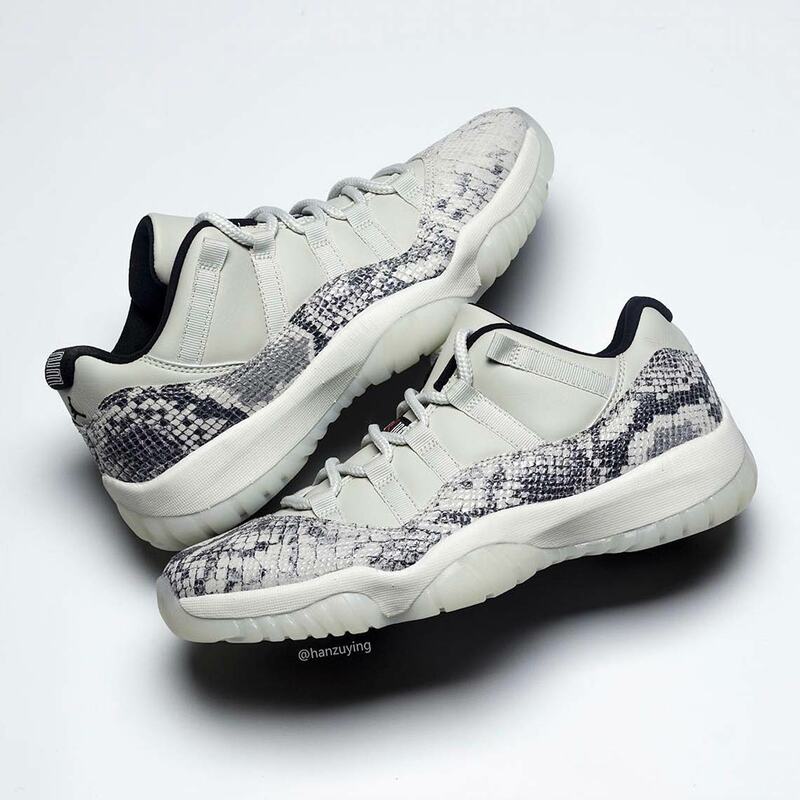 These 11 Lows are set to release June 1st with an increased price point of $185 USD — due to their premium detailing — so enjoy an extremely thorough on and off-foot look below, and keep it locked here for more info/updates as the release draws closer.